When sorrows come, they come not single spies, but in battalions, just as Sungura Maestro Aleck Macheso is recovering from his nasty divorce from ex wife, Tafadzwa Fortunate Mapako, his eldest daughter Sharon hauled her abusive husband Kudakwashe Munetsi to the Harare Magistrates’ Courts over charges of domestic violence. Sharon and her husband Kudakwashe tied the knot just two months ago at a lavish ceremony held at Oliver Mtukudzi(a family friend)’s Pakare Paye Arts Centre. According to reports, the couple’s youthful union has been bedeviled by a myriad of problems chief among which are Munetsi’s greed! Its alleged that the unemployed Munetsi was pissed of by his celebrity father-in-law Alick Macheso’s failure to buy him a posh car! This irritated his wife who told him to concentrate on looking for a job instead of sponging on her father. The advice did not go down well with Munetsi who then bashed his wife before threatening to commit suicide. Munetsi yesterday appeared before magistrate Mr Tavonga Mutetwa, who remanded him to October 23 on $50 bail with the State’s consent. He is being charged for contravening sections of the Domestic Violence Act “physical abuse”. As part of his bail conditions, Munetsi was ordered to report once a week at Makoni Police Station, not to interfere with witnesses and to reside at 4977 Unit C Seke Chitungwiza until the matter is finalised. He is being represented by Mr Charles Chikore of C.Mutsahuni Chikore and Partners assisted by Mr Abisha Muzvaba. The State led by Ms Gayton Vhiriri had asked the court to use its discretion on the amount of bail but Mr Chikore advised the court that $50 bail was appropriate under the circumstances. Mr Chikore said the court should consider Munetsi’s current financial position. 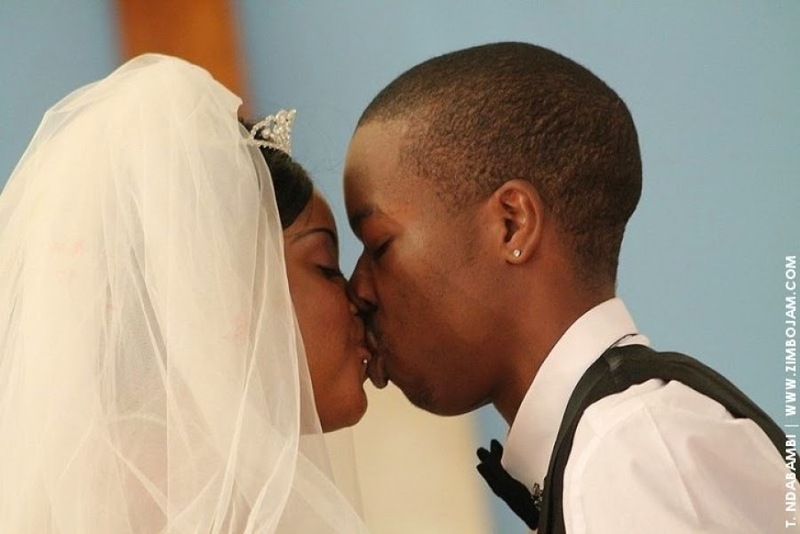 Ms Vhiriri alleged that on October 12 at around 6am, the two were in their bedroom when Munetsi blamed himself and Sharon for spending a lot of money on their honeymoon and on renovating their house, which was a wedding gift from Macheso. He reportedly accused his wife of making false reports to her father. He further told his wife that her father should give him money to buy a posh car instead of spending the money on renovating the Chitungwiza house. In response, Sharon told him to go and look for a job instead of relying on her father, the court heard. This angered Munetsi who then ordered Sharon to pack her belongings and leave the house adding that he no longer loved her. He went on to threaten Sharon with unspecified action and that he was going to expose her and their family secrets to the media. Sharon is said to have told her husband that she was now tired of the divorce threats and should do as he pleased. It is alleged that Munetsi then threw a cup intending to hit Sharon, but missed his target before manhandling her. He pushed her against the wall and she fell down. Munetsi is said to have stepped on her while she was on the ground crying for help, the State alleged. He further slapped her several times. After the assault, Munetsi allegedly locked himself in the bathroom and threatened to kill himself. Sharon then grabbed a hoe handle which she used to break the bathroom door. Munetsi, it is alleged, went to their bedroom and asked for a dollar from Sharon saying he wanted to buy poison. Sharon refused to give him the money prompting him to take an electrical cable and threatened to hang himself, it is the State’s case. Sensing danger, Sharon called her grandmother who rushed to the house.